How Mormons went from beard-wearing radicals to clean-cut conformists. Photograph of Brigham Young courtesy Harvard Art Museum/Fogg Museum. Photograph of Mitt Romney by Gage Skidmore. The first musical about Mormons to exceed commercial expectations opened not on Broadway, but on the campus of Brigham Young University, in 1973. Saturday’s Warrior follows eight young Mormon siblings as they search for love, are beset by temptation, and learn loyalty to their sprawling and unwieldy family—with all of this scored to a tinkle-y, ’70s-pop soundtrack. Performances of the musical in Utah sold a surprising number of tickets, and productions soon popped up across the American West. A 1989 film version sold thousands of copies, and it’s estimated that some 2 million people, almost all of them certainly Mormon, have watched one performance or another. Saturday’s Warrior—the title alludes to the latter days—was an unprecedented pop phenomenon in the small world of midcentury Mormondom at least in part because it struck with perfect pitch the tone of that Mormon moment. In the 1960s and ’70s, many Mormons were disappointed with American culture, which seemed to them to be spinning wildly out of control. The musical’s heroes urge their wayward siblings to protect themselves by embracing a rigorous code of personal morality and loyalty to the clean-cut church that teaches it. Saturday’s Warrior is, essentially, a tract from Mormon parents desperate to keep their children out of the dangerous clutches of hippies. 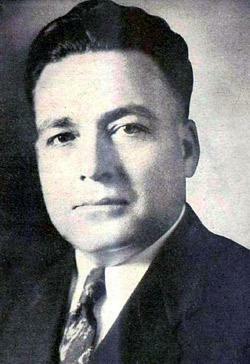 Harold B. Lee in 1944. Lee became an apostle of the LDS Church in 1941, and eventually served as the church’s president. Elders’ Journal via Wikimedia Commons. Of course, every religion that attains considerable size must reckon at some point with outside cultural pressures and internal diversity, and most eventually find refuge in mechanisms for enforcing orthodoxy. Looked at this way, correlation is simply Mormonism’s answer to, say, the Council of Trent. While the decisions made at Trent sought to deal with the splintering effects of the Reformation and the burgeoning age of print, correlation was born in a collision between the social upheavals of the 1960s and the progressive ideals of the early 20th century. Before World War I, Mormons enthusiastically participated in the turn of the century progressive movement, which exalted order, moral virtue, and a faith that proper education, efficient government agencies, and well-meaning volunteers could transform America’s poor and immigrants into productive, assimilated members of the middle class. Progressives were idealists, rationalists, and moralists—and the Mormons, whose theology had always rejected original sin and preached that every human being possessed the infinite potential of divine inheritance, seized upon these ideas and pursued them to the fullest. They embraced the Boy Scouts of America, Sunday schools, and youth programs designed to uplift their own. Though the Great Depression and the trenches of two world wars dampened the optimism of the original progressives, Mormons kept the dream alive. The other place progressivism survived—in some form, at least—was in the American corporation. The ideals of the movement informed the rational, pragmatic trust in organization held by business-leaders-turned-politicians like Nelson Rockefeller and George Romney (governor of Michigan and father of a teenager named Mitt). Harold B. Lee, and the midcentury Mormon leaders who aided him, were deeply influenced by the brisk pragmatism of these men, and so correlation remade Mormonism in the image of the data-driven American corporation, governed by committees, based on consensus, and institutionally conservative. Lee succeeded in producing a church built in this image. When America’s college students began wearing tie-dye and protesting the Vietnam War, Brigham Young University banned facial hair and instituted a formal dress code. When the sexual revolution began, Mormon leaders issued a pamphlet titled For the Strength of Youth that instructed teenagers in proper dating etiquette. And 1973 brought Saturday’s Warrior, whose characters love their family, strive to do what is right, and demonstrate a relentlessly chipper confidence that right living will bring happiness. They are morally upstanding—and also almost uniformly bland, not to mention fearful of the world outside their faith. Revisiting Saturday’s Warrior today, one can see not only just how much it embodies the Mormonism of its time, but also the distance the church has traveled since then. Ashamed that his mother is pregnant with her eighth child, the young protagonist Jimmy falls in with a group of hippie miscreants who preach selfishness, hedonism, and, improbably, birth control (which is covered in a song called “Zero Population”). Aggressive animosity toward contraception is one of the tinnier themes of the musical today, even to many contemporary Mormon audiences. For much of the 20th century, and well into the 1970s, the LDS church staunchly disapproved of birth control. Such rhetoric faded during the 1980s; today, Mormons are told that the decision should be a private one. But the concerns behind it persisted. Correlated Mormonism has always been defensive about traditional gender roles. In the 1960s and ’70s, this became a powerful theme in Mormon culture, one propagated by the newly uniform church curricula. Ann Romney’s recent staunch defense of her decision to be a stay-at-home mother reflects this aspect of correlated Mormonism. Correlation has served the Mormons well in many ways. The Mormon leaders who formulated correlation turned around a church that by the 1950s had found its only vaguely hierarchical organizational chart was becoming a handicap. Correlation ensured that a faith rapidly growing outside the United States retained a coherent identity, it ended the routine budget shortfalls that had once regularly plagued the church, and it fostered a strong sense of community and a thriving devotional life for Mormons around the world. More recently, however, the self-imposed isolation encouraged by correlated Mormonism has exacerbated the suspicions that many Americans have about the faith already. This helps explain the efforts the LDS Church has lately made to redefine its image once again. The “I’m a Mormon” campaign is only the most high-profile effort to foster an image less like that of IBM during the 1950s, and more like pluralist, 21st-century America. 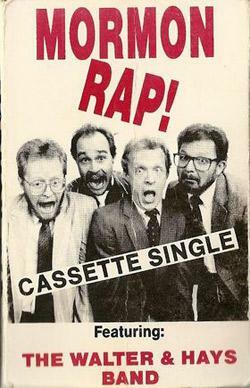 An earlier and more embarrassing effort is the “The Mormon Rap,” a cringe-inducing curio from 1988 that attempts to fuse Reagan-era beatboxing with Mormon values. The song fails spectacularly, but the impulse it represents persists. In 1995, the new president of the church, Gordon B. Hinckley, admonished his flock to be better neighbors, to reach out, to find in the non-Mormon world things to value. Since then, Mormons are increasingly adept at reconciling the demanding moral code of the correlated church with participation in broader American culture, venturing into fields as far-flung as reality television and vampire fiction. This Mormonism, the Mormonism of David Archuleta and Stephenie Meyer, is defined less by rigorous conformity and personal self-discipline than by the ability to project a wholesome pluralism—to reflect back to present America the things which it values most, albeit edited to a PG rating. Yet some portion of America continues to be skeptical of correlated Mormonism’s blend of insularity, corporatism, and a sometimes rather stiff niceness. (These are, of course, just those traits that plague Mitt Romney.) And the odd combination of boring and weird that is typical of correlated Mormonism is not merely a product of its time. Behind correlation stands a theology that has set Mormons apart from the rest of America for nearly two centuries: an origin story that many Americans find fantastical, temple rituals that seem strange to outsiders, an unusually detailed vision of the afterlife. While the LDS church has lately begun to discard some of correlation’s worst inheritances, the tensions that have dogged Mormonism throughout the 20th century—and Mitt Romney through two election cycles—are not likely to fade anytime soon.